The South Australian Government has launched an AUS$40,000 pilot program at 28 public schools across the state. This program integrates 3D printing into classroom learning.The 28 schools are all primary schools located across South Australia with students ranging from 6 to 12 years of age. The primary focus of this technological introduction is towards the science, technology, engineering and mathematics (STEM) subjects. 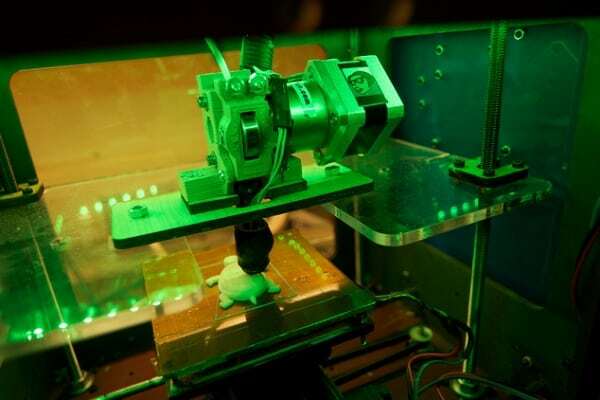 3D printing is a process that synthesizes a three-dimensional object via a 3D printer or some form of electronic data .In 3D printing, successive layers of materials are formed under computer control to create an object of any shape or geometry. Teachers will receive training on the usage of 3D printers before its introduction into classrooms in the first semester of 2016. Australia currently faces an imbalance of having significantly higher liberal arts than science graduates and this effort is an attempt to balance the interest in the STEM subjects. A recent report suggests that 75% of the fastest growing occupation require STEM skills. A recent study from the Queensland University of Technology reported that the rates of participation in all the Science and Mathematics subjects declined over the past 20 years. The highest decline was by 10% in Biology. South Australia Minister for Education and Child Development Susan Close says that the project is partly intended to hone interest in STEM subjects from a young age. Dr Close also believes that the program will familiarise student with modern technologies and provide a pathway to STEM-related careers. “There are so many ways to incorporate 3D technology into learning, and schools will be linking the program to various subjects, in particular with STEM subjects…I believe this program will have a positive impact on student learning by developing problem solving and design skills and becoming familiar with the use of modern technologies.” said Dr Close. South Australia is currently embarking on a future built upon innovation and knowledge-intensive industries. This will require highly-skilled citizens, particularly in the fields of STEM.